School Suspensions: Are These Discriminatory Or Simply Wrong? 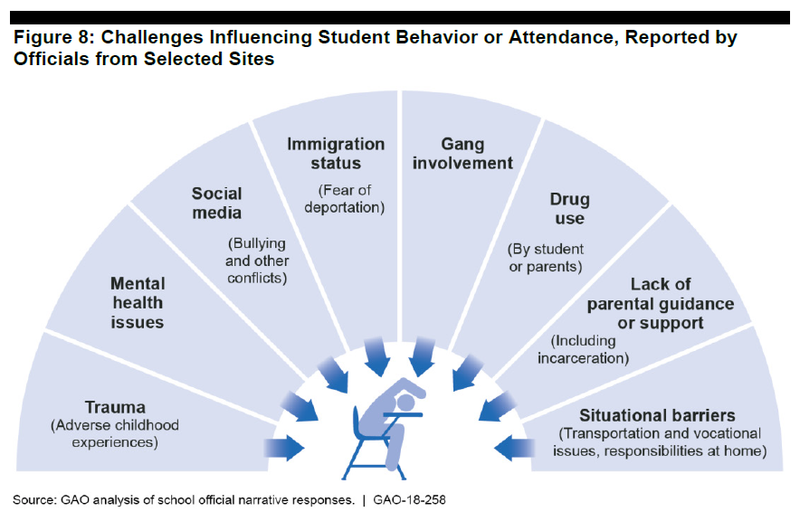 A recent report from the United States Government Accountability Office (GAO) brings me back to a post I made in this blog last October; How We Discipline Students in Schools Is "Trump-Like". When Republican presidential candidate Donald Trump mocked a judge for simply being a child of Mexican immigrants, we took notice. In 1972, when a black woman was told that nothing was available for rent in a Brooklyn complex managed by Donald Trump’s real estate company while a white woman was shown two available apartments in the same complex a few days later, the federal government filed a discrimination case against the Trump firm. And when Trump seemingly made fun of a reporter with a disability, we quickly denounced it. Yet, when we look at how our schools exercise disciplinary action, we see something frighteningly similar. 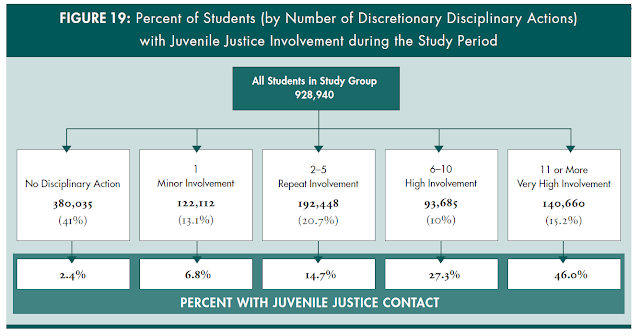 The findings made by GAO based on the Department of Education (Education) national civil rights data for school year 2013-14 are practially identical to the results shown above. Black students are overrepresented among students suspended out of school. Those who have disabilities are likewise overrepresented. And boys are much more likely to be suspended than girls. Examining the data with an eye on poverty reveals some trends. First, the disparity in school suspensions, blacks, disabled and boys getting suspended more, is present in all schools regardless of poverty level. 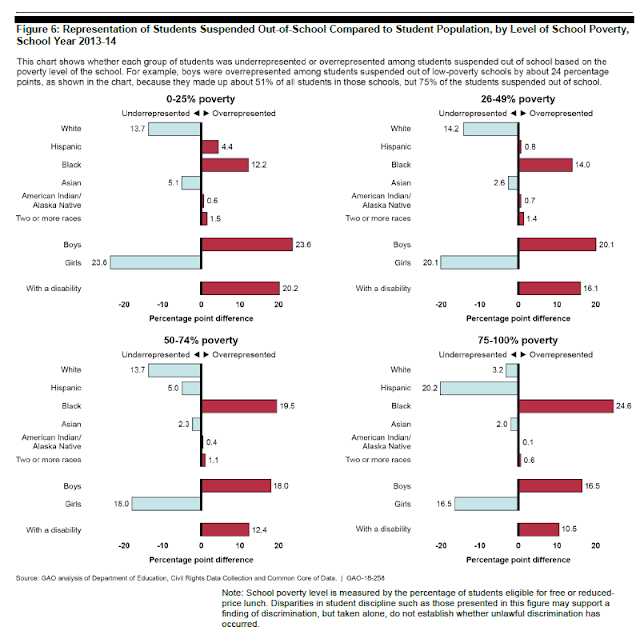 However, the overrepresentation of blacks among those who are suspended increases with poverty. On the other hand, the overrepresentation of students with disabilities as well as boys decreases with poverty. One, however, should keep note that suspension rates go up with increasing poverty. The rate of suspension for schools attended mostly by rich children is only 2% while for schools attended mostly by poor children, the rate is more than 4 times higher, 9%. Therefore, the overrepresentation of students with disabilities and boys may appear to be decreasing with poverty, but in terms of numbers, suspensions are actually increasing. In a wealthy school, only 6.5% of students with disabilities get suspended but in a poor school, 17% do. However, it is a relief that in terms of an overall suspension rate, Falls Church High School is actually showing good numbers. The suspension rate for students with disabilities is about 4.8%, which is lower than the national average for kids in a wealthy school, 6.5%. Falls Church High School has more than half of its students qualifying for free or reduced lunch so it should be compared to 50-75% poverty schools, where the suspension rate for students with disabilities is 13.4%. 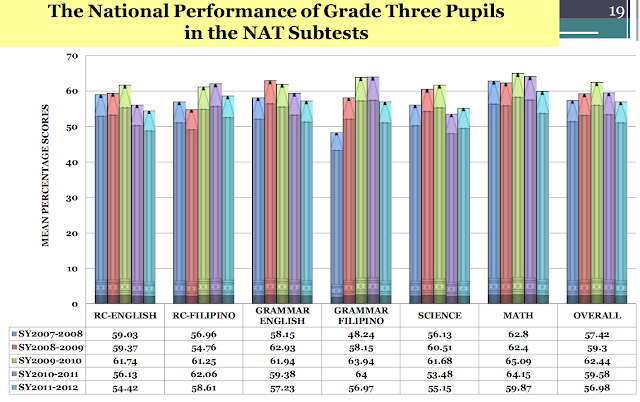 The reason why I am also looking at the overall suspension rate and not just the disparity is because school suspensions are not really helpful. A 2011 study in Texas shows that school suspensions do not really correct bad behavior. 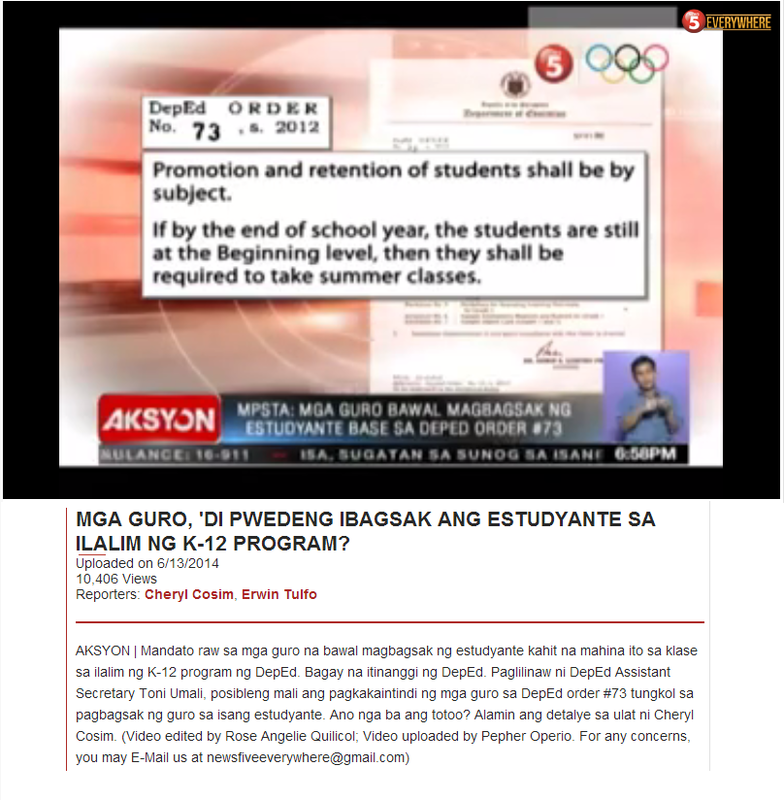 Obviously, individuals should not be suspended or expelled from school just because of the color of their skin. But the letter was more than a simple warning on discrimination. ...Washington is too far removed from neighborhood schools to issue and enforce guidance on school discipline across 50 states and 50 million students. As Broward families’ grief turns from anger and pain to hard questions about what went wrong, Washington should rescind its school discipline directives at the center of the tragedy. 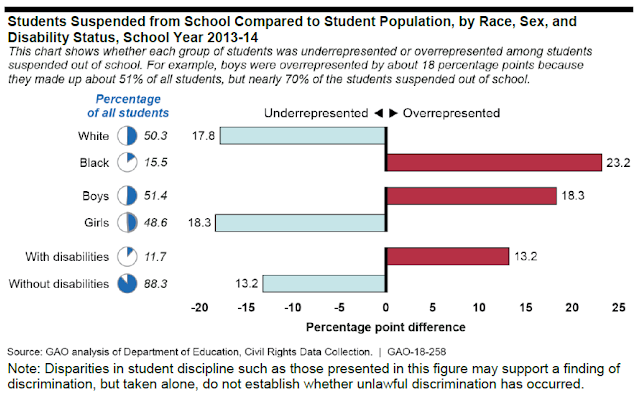 School suspensions are not just discriminatory. Suspensions do not help which makes the fact that blacks, the disabled, and boys are more likely to be suspended a much greater travesty.